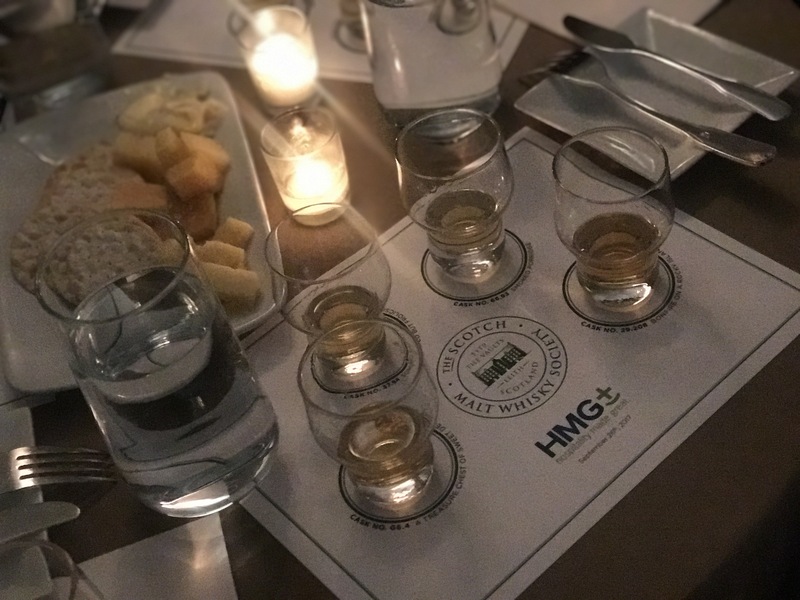 Last night HMG+ hosted an exclusive Whisky Tasting event with the Scotch Malt Whisky Society! Thank you to all our guests who came to out to celebrate a fun evening full of laughter, spirits and networking! This evening was an intimate tasting of truly exceptional single malts. The tasting included 4 unique single cask malts, as well as an educational discussion of the various regions, barrel protocols, and flavor profiles of single cask whiskey by the Scotch Malt Whisky Society’s U.S. Director, Tom Smith. The Scotch Malt Whisky Society is a club unlike any other. As well as being a place to connect with other like-minded whisky lovers, they are also internationally renowned for their mission: to provide members with an adventurous and fun journey of discovery of the world’s widest collection of single cask whiskies. Wish to become a member of the Scotch Malt Whisky Society? Click here for more information!